The New City Collegian » The Latest » Seattle Snow Sludge Getting You Down? Why Not Visit Italy! Seattle Snow Sludge Getting You Down? Why Not Visit Italy! Is this morning’s snow slush bringing you down? Do you long to escape the drudgery of Seattle and travel somewhere beautiful? In a few short months you will be strolling through the heart of Florence, eating delicious gelato and soaking up the warm sun. Thanks to one of Seattle Central’s art instructors, Georgetta Gancarz, the dream of new cultural experiences can become a reality. Gancarz is offering a program for students to study art abroad in the culturally rich city of Florence. 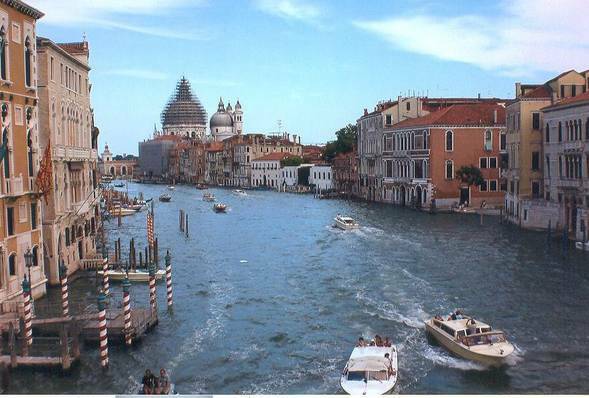 The program includes trips to the Italian Riviera, Sienna, and Venice where students will transform the stunning scenes around them into paintings. Gancarz, work is exhibited worldwide and knows the value of firsthand experience. Even for the most home bound among us, Italy is tempting. Gancarz speaks of the country as though mentioning a loved one, “this is my second home,” she says. And she wants to share it with her students. The trip abroad also offers up to five college credits for interested students. The cost of the trip is $3,100, not including airfare and students can register any time between September 2012 and March 2013. 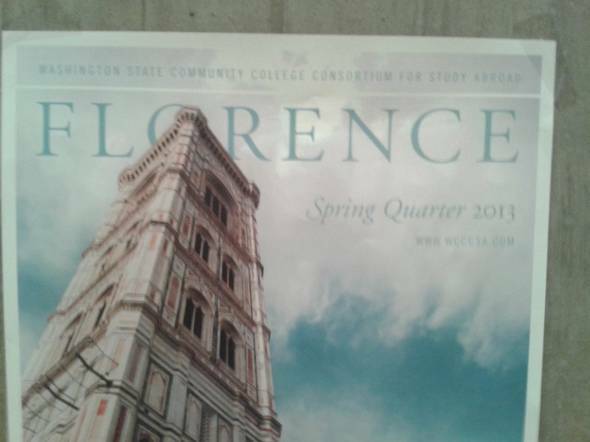 The trip will take place during summer quarter 2013. Payment plans are also available. Students are not left to wander the streets in the evening because they’re too engrossed by activities like cooking classes and dinners at a medieval hall. Students do get time to explore on their however and learn the cultures of Italy, learning Italian, and connecting to the culture. If you are aching for a way to break out of your usual routine or you just need a change of scenery from our soggy bread climate, Italy is sure to offer something for everyone.